Sawzalls are more commonly called reciprocating saws due to the' to & fro' motion involved while cutting with it. 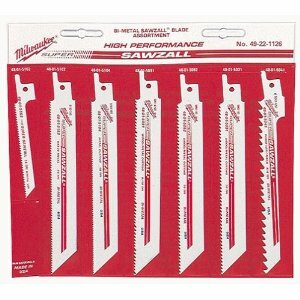 Milwaukee Electrical Power Tools call their reciprocating saw as the SAWZALL. 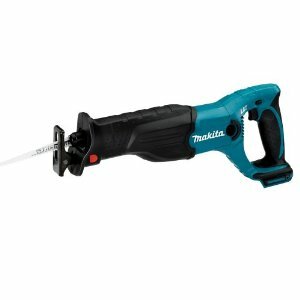 It is one of the most basic tools used for framing, wood work and for demolition purposes. Moreover, it will mainly consist of a single edged sharp, strong blade attached to a handle which is modelled to give maximum comfort while sawing a vertical surface. In other words, it's very similar to a jigsaw or the common hand saw. In a kid's terms the reciproating saw looks like almost a gun. 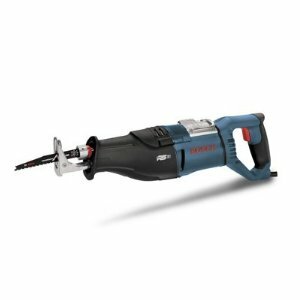 Various power tool companies manufacture their own differently styled reciprocating saws which can either be corded or cordless. 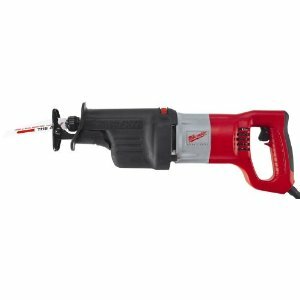 The corded models come in an 11.0 amp and 15.0 amp categories where as the cordless one works on an 18 amp Ni-cad battery which of course runs out before you are half way through a project. Good news!! 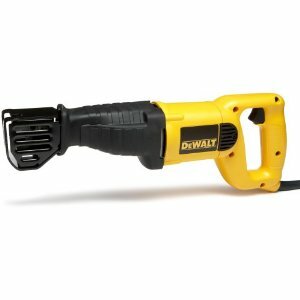 Though the Sawzall is corded (the cordless version is not much of a jaw dropper), it has a unique "Quick Lock" feature that does not require you to open the tool each time to change a damaged power cord. All you need to do is throw the damaged one out of the window and plug in a new one to continue. The reciprocating saw has an amazing balance, just enough for the cut to be perfectly precise. The construct has a rubber grip to break the slipping spell and is not too heavy. It is a perfect warrior. If you think a dusty motor, blunt blades or even wedged blades are going to bewilder its performance, surprise!! Nothing can stop this Saw from zipping through anything. It has a variable speed adjustment which is comfortably located at a position where you won't accidentally switch it on. The orbital motion of this Saw can also be controlled. The blades are fitted into a kind of a socket or a collar like fitting which prevents the blade from slipping out while in use. Apparently, it's very tough to wrench the blade out of the collar toll the lever is loosened. The blades remain sharp for a long duration till they hit a green knot or if they are frequently used to cut wood with nails pinned into them. The cuts sometimes becoming jagged while used on pressure treated or hardened wood is actually not worth mentioning. Absolutely, stress free hands. Thanks to no vibrations. All the applications in the tool can be manipulated without exerting yourself. You just require your thumb to carry out most of them. The reciprocating saw is believed to come with 2 blades, one for metal and other for wood. Somehow all of them who received the reciprocating saw don't seem to be able to count beyond one blade, which is often the one that cuts wood. All in all, this tool surely offers the value for the money paid. This Saw is sure a mini bulldozer!! Return From the Sawzall Page to Home - Finishcarpentryhelp.com.